The city's newest park will move ahead after Scappoose city councilors approved funding for a restroom at the soon-to-be-developed city park on Seely Lane. The vote came Monday evening, March 5, after councilors rejected four bids for restroom facilities the week prior. A 3.5-acre park on Seely Lane will have a new wood frame pavilion and a two-stall restroom facility with a water fountain, paid for with money from a $450,000 grant. The park likely won't have the full amenities of some parks around the city, like benches or playground equipment, at its opening, but city staff said a Friends of Scappoose Parks committee could lead to fundraising for additional features, like picnic benches. After initial bids, which ranged from $23,000 to $125,000 for a single structure with two bathrooms, councilors conveyed sticker shock at a staff recommendation to purchase a $125,000 prefabricated building from The Public Restroom Company. City staff returned the following week with bids that weren't much less expensive. Alexandra Rains, assistant to the city manager, told Scappoose councilors she consulted with other cities, as well as the Oregon Parks Department, and prefabricated structures are the preferred option. Rains said contracting companies couldn't beat the bids provided by companies who specialize in building and delivering public restrooms for parks or other outdoor spaces. 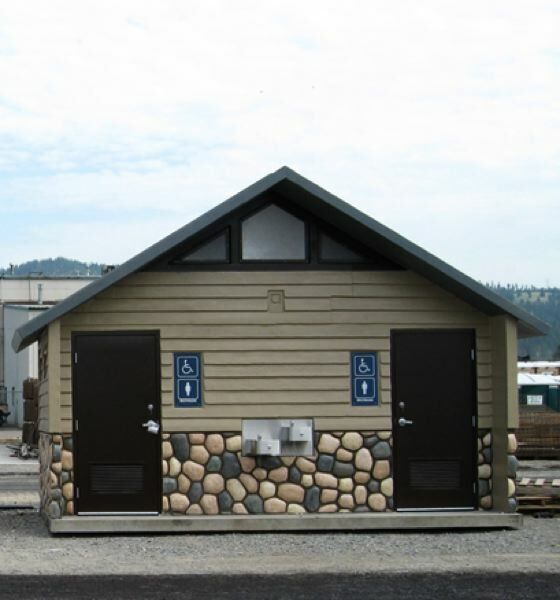 As an alternative to the $125,000 option pitched to councilors Feb. 26, Rains returned with quotes from CXT, another company specializing in prefabricated restrooms. Councilors reviewed two very similar looking concrete structures — one at $90,000 and the other at $100,000. "I checked the restroom at Veterans Park and in 2009, that restroom cost $276,209," Rains noted. Councilors voted unanimously to approve the purchase of a $100,000 model from CXT made of concrete with a partial stone-looking facade. The vote wasn't without some hesitation. "I did look at the master plan budget, and the master plan budget for a restroom was $30,000 and for the pavilion was $40,000," Councilor Patrick Kessi noted. "Between the two of them, we're over the budget by quite a bit." "We're very aware of it," City Manager Michael Sykes said, noting numbers in the park budget were "best estimates." Sykes said that while the bathrooms and pavilion, which were approved for purchase the prior week, will eat up a large chunk of the $450,000 grant funding for the Seely Park project, those amenities were a priority. "One thing you're not going to see a lot of is landscaping, picnic benches," Sykes noted. "We decided to build something that was a little bit more accommodating of a community event." Kessi broached the subject of park spending again before Monday evening's meeting was adjourned. "I'd just like to see the staff keep within the $640,000 budget we had for this park, overall," he told city staff and councilors. "So far, we're trending in the wrong direction."